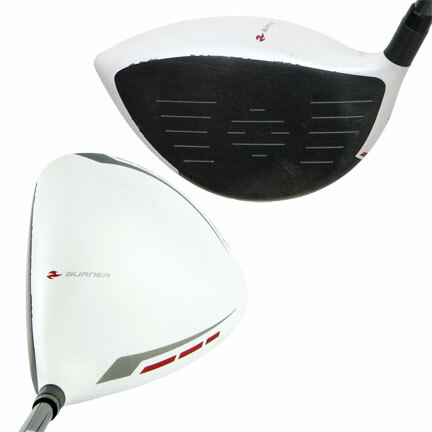 The TaylorMade RocketBallz Tour fairway wood uses breakthrough technology to boost the clubface COR to an extreme. The RocketBallz Tour head has a neutral face alignment at address and is engineered to be compact for a penetrating trajectory and neutral flight bias. 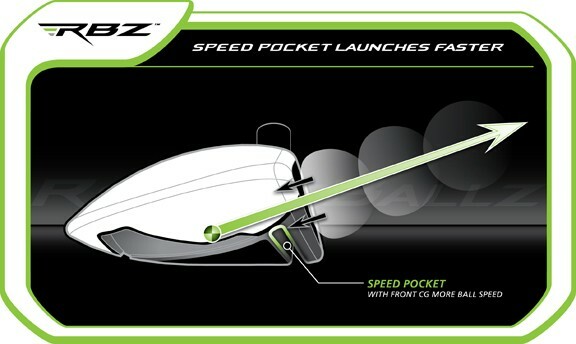 The Speed Pocket in the sole boosts ball speed dramatically for more distance. The Thick-Thin Crown design creates lower CG to promote higher launch for more distance. The low/forward CG promotes a higher launch and low spin. The white crown and black face makes alignment easy and eliminates glare on top. This fairway has increased 17 yards to most players’ current woods. I gained 30 yards with my RBZ tour 3wood. I was hitting my old nike vr str8 about 230 carry and with roll 245 - 250 i hit it low so i get good roll. With my new 13 degree RBZ tour from global golf in good condition but looked brand new i hit it 260 carry and with roll 280 -285 with ease didn't swing hard love it i was 40 yards in front of the guys i was playing with. 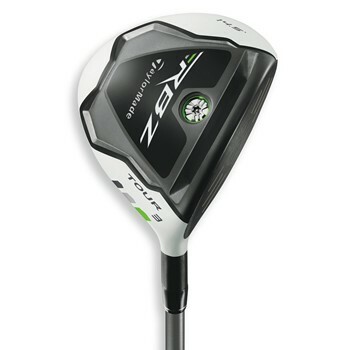 What im try to say is if you thought a bout geting one get it it is worth it i can put my RBZ driver away now not!!!!! its just as good they both are loooooooooong!!!!!! Thanks global golf and taylormade!!! I have been struggling lately with my driver. During a round I will be driving fairly consistent, and then the next round I cannot hit a fairway to save my life. This led me to using my 3 wood (Cleveland Mashie), which I only would get me about 210-220 yards, but at least it was in the fairway. Then a fellow golfer at work told me about how long the RBZ 3 wood was when he tried one. I did my research first, and all the reviews were extremely positive about the RBZ FW. My research led me to Global Golf, which I frequently visit for used clubs, and I purchased the Rocketballz Tour 3 Wood (14.5*) marked as excellent condition. I was not disappointed. First of all I used the 2-3 day FedEx shipping option and received my club 2 days after it shipped. And best of all, the condition of the club was more like MINT! Now for the first test, I took it out to a nearby driving range. They only had the matt boxes open, so I was not able to tee it up, but I could not believe how well it performed! Off the matt it was carrying well over the 200 yard marker, and would roll down a slight hill out of sight. I am guessing at least 230-240 yards. (I'm not a big hitter, so this was very well for me). The flight was very pierching, which should work well when the winds kick up. I cannot wait to take it out on the course and tee it up, and I will report back later to let you know the results. With these results I have a feeling that I will be leaving my driver at home for my next outing! I would HIGHLY recommend giving the Rocketballz Tour 3 wood a try! You just might be replacing your driver for this extremely long Mini-Driver! But don't get me wrong, there is nothing "mini" about it's performance! This club spanks! I call it the illegal club. When you pure it, the action is unbelievable. In addition, Globalgolf never disappoints with it's great selection and low prices. That being said, I will never choose Fedex Smartpost (Smart?) as the shipping option again. It takes way longer to get your shipment! I'd rather pay the extra $3 to get my order in a more reasonable time frame. Got this club after reading some reviews about it. I must say that for me, this club goes nice and straight and I have gained a good 15 yards carry more than my previous 3 wood. I love it and am so happy with my purchase! Ordered this for one of my local schools golf program. Shipped fast and hits good. The kids should love it.